Those are magnificent and beautiful machines, no doubt about that. I haven't had the good fortune to get a H2K as yet... And I would love to give one a bit of a go at some point. But that can wait! I have too many Hermes machines as it is. Great post Rob. This model definitely deserved some attention. I have a '30s version and I agree that it's very handsome and a high quality typewriter. 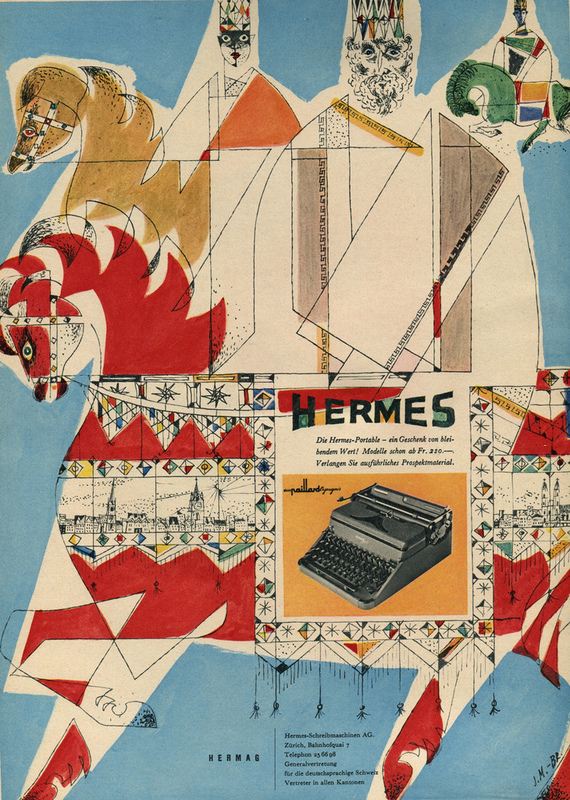 Was this the first Hermes, or do you mean the first portable Hermes? I have to agree... the 2000 is a wonderful machine and I like it better than my 3000. 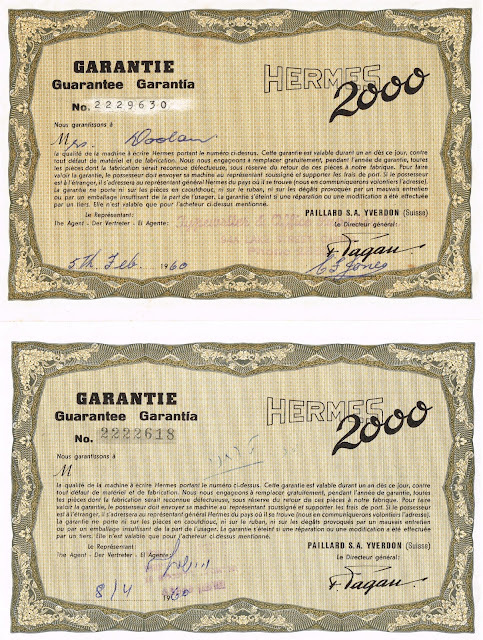 The Hermes 8 is even a greater value since it is even more undervalued than the 2000. I ran across a third generation 2000 last year at an antique store. Now you are making me regret not bringing it home. Thanks for the review. The first generation machine is a looker! 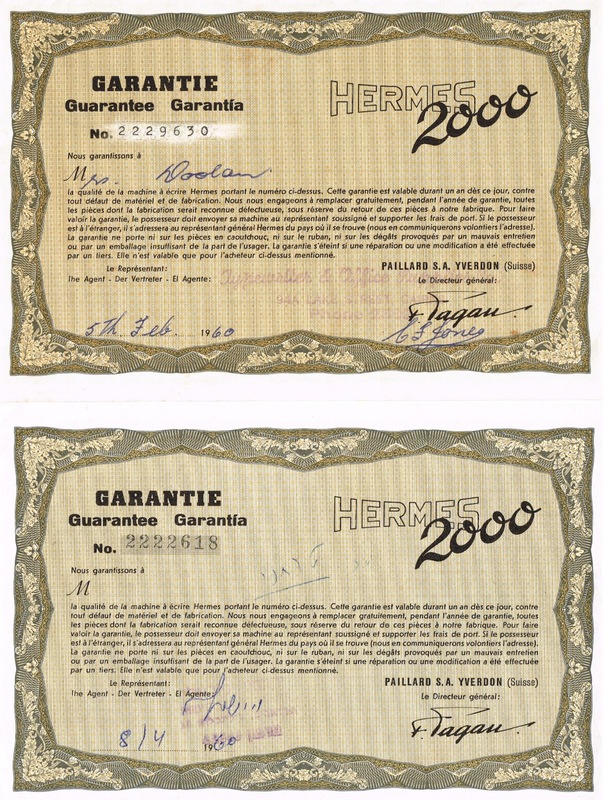 !Viva la Hermes 2000! For me it has always been No. 1. 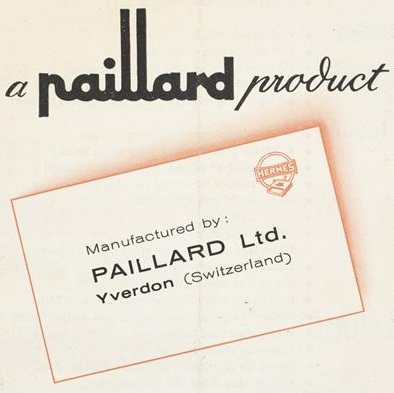 It's pedigree is interesting: there is good reason to believe that it descends from the Italian produced Oliver portable. Technically, many similarities. 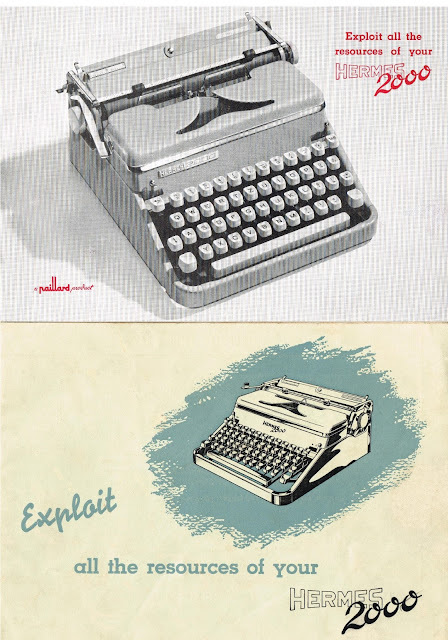 And then, G. Prezioso worked for Oliver Italy before being recruited by Paillard - right off the Milan fair, and with a portable typewriter model ready ;) more to come, just writing an article about this. For a long time, I preferred the Hermes 3000 - but then, I used another Hermes 2000 earlier this year - and I revised my opinion. A Rehabilitation. Thanks for such an enthusiastic write-up on the H2k. They are certainly distinctive looking and your description of the typing pleasure to be had is JUST the sort of encouragement it takes to set one on a quest. I especially like the look of the yellowy hard cases. I suppose whenever one buys a machine untested and untried, there's scope for either dismay or elation at the actual way the damn thing types. As well as the symphony of clickety clacks and pings and ratchety crankings, there' the degree to which the typewriter just stays well out of the way and not interfering by fault or design in the fluent trnsmission from brain to page. This odd combination of mechanical eficiency, ergonomics and panache all combine to enrich the typing experience. I suppose it is the thirst to refresh this experience that drives one to try out 'just one more' and ten that'll be enough. I wonder if an H2K will be my next fix? Thank you Scott, Richard, Gee, Dwayne, Georg, Florian and Rob for your comments. Thanks Richard, I have made that correction - my oversight. Dwayne, I don't believe you'll regret the Hermes 2000 experience. Georg, I look forward to reading your piece. Rob, a beautifully written, considered comment, all so very true. Yes, as with Dwayne, I think the Hermes 2000 will be an excellent "fix" for you. how much is a hermes baby in grey/mint green worth? So I recently sold (offloaded) a late Brother and an unloved SCM Empire Corona. Together I just about got back what I paid for them and guess what come up for local collection? 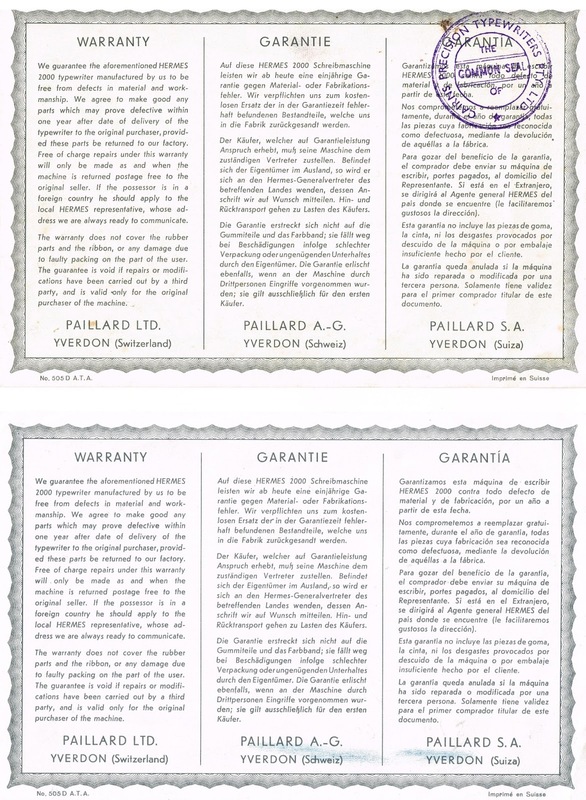 An H2K from a seller in Oxford. I just quickly slipped in a replacement ribbon to try it out and everything you say rings true. Magic margins, suberbly engineeered touch control and a businesslike feel to it (massive contrast to the Graphika I've been using recently). It looks as though this one's 1955 vintage. It puts up a good fight against the Olympia SMs of the same vintage. I users typewriter from Indonesia. I also have hermes 2000 the first generation. But there is a bit of damage, namely the interesting gear head typewriter. Small gears that move the typewriters head shake and chipped. 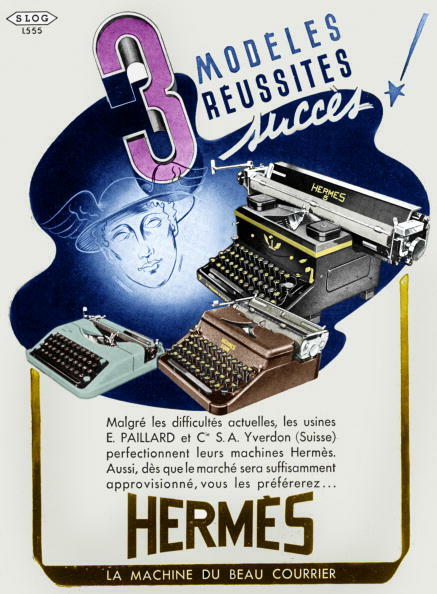 Is Hermes typewriter same types exist in the gear wheel? Or maybe there are other brands typewriter same, to take some spareparts. Lovely history, thanks for posting it. 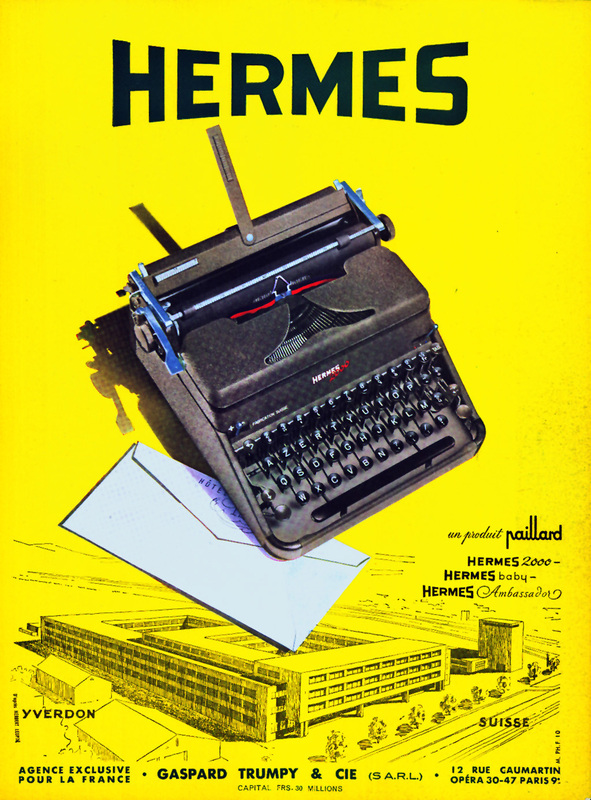 I have been storing the Hermes 2000 that was used by the author Wallace Breem when he wrote "The eagle in the snow", "The legate's daughter" and "The leopard and the cliff". It's going to his goddaughter whenever she can find room for it. I loved reading this post. It informed me about the typewriter I just found in my attic. A Hermes 2000 in a brown case. It's black (only the 2000 in the name is red) so I guess it is second generation. 40's? 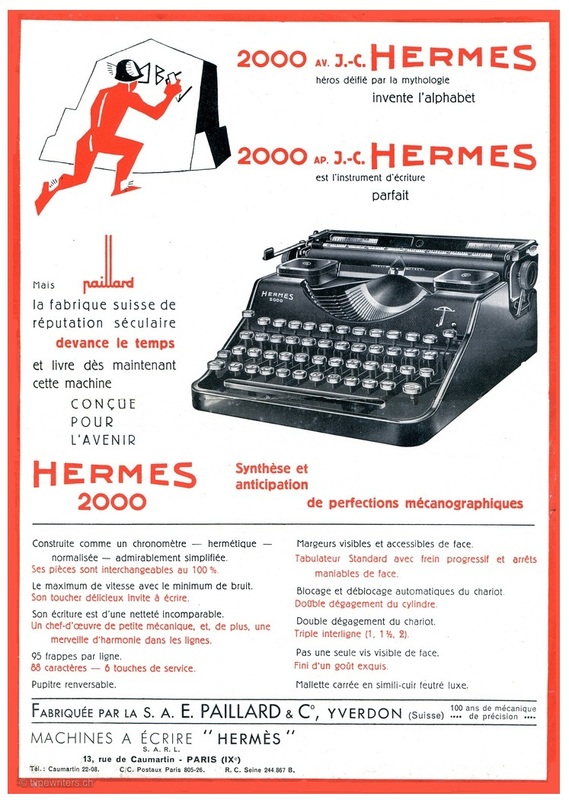 Wonderful post about the Hermes 2000. Anyone enjoying reading this post will also enjoy the amusing short story (in which the Hermes 2000 plays a major role), "These are the Meditations of My Heart", from Tom Hanks's (yes, THE Tom Hanks) new book, his first, "Uncommon Type", Alfred A. Knopf, 2017. Hanks is an amazing actor and now he turns out to be an amazing writer too! 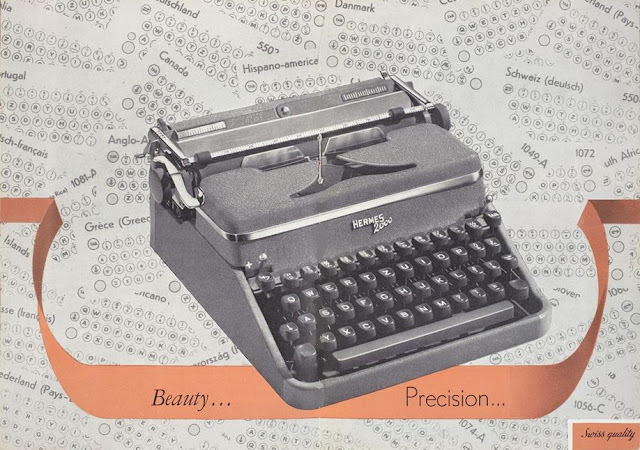 Each story has something about a typewriter in it, some just a line or a paragraph, but the above-mentioned story is all about the Hermes 2000, with a lovely ending. Reading the story made me google Hermes 2000 a bit and led me to this blog. 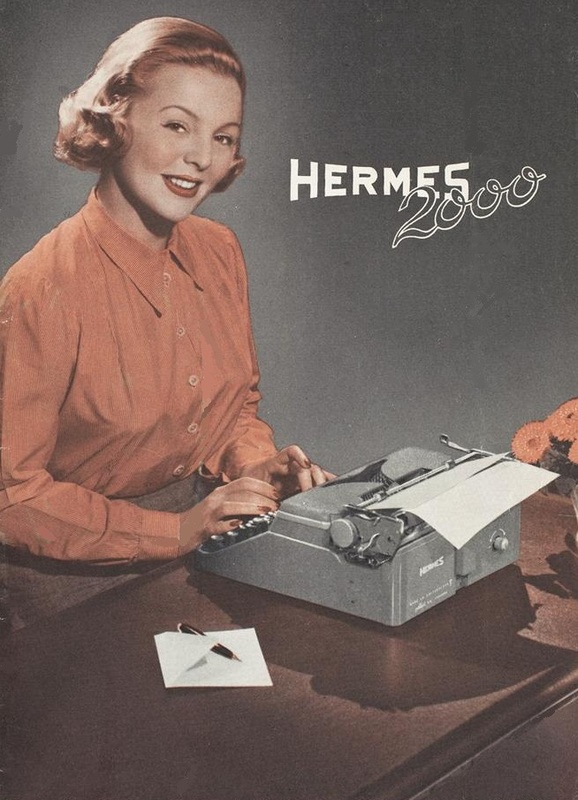 Needless to say, the Hermes 2000 came out a winner in both the blog and the story. Made me wish I had had one and maybe it's not too late! I wonder if the Oct'16 comment above is from the author Martin Cruz Smith (Gorky Park, Havana Bay, etc). Sounds like it could be. 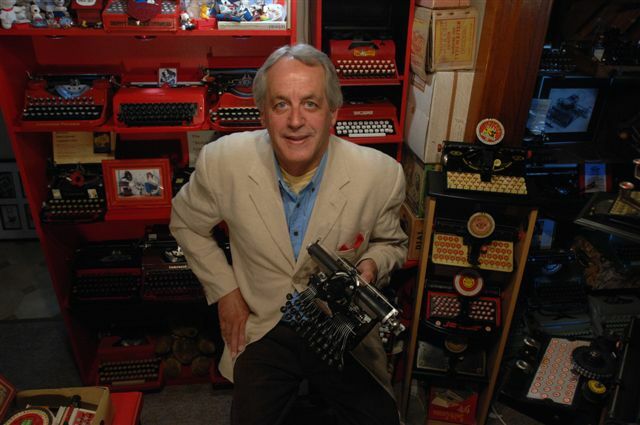 Maybe he wrote his novels on Hermes 2000s too. A nice comment and a nice gift to the goddaughter. 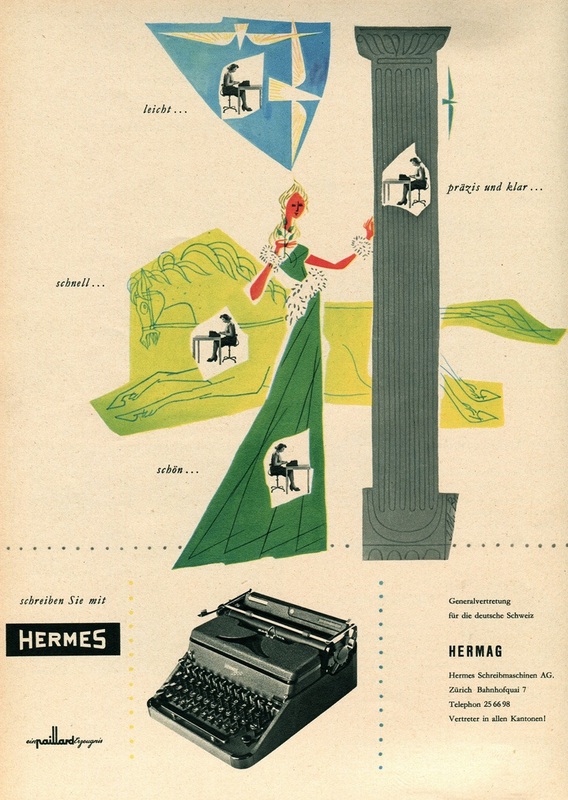 I bought a very fine 1939 Hermes 2000 (so, a first generation) with Dutch keyboard (an IJ in the spot of the Y and the Y relocated next to the P) for a mere 35 euro. It's my favourite machine next to my pre-war Seidel & Naumann Erika machines. Lovely post on the Hermes 2000! I have fancied one ever since I typed on one by chance. So snappy and fast! Do you know where I would be able to find a spare ribbon cover for the second generation Hermes 2000 in Australia? I've finally found a lovely machine in the army green (in my budget!) but it's missing a cover...Any help appreciated.